Claw machine game has been popular all over the world for a long time. Some great players of catching dolls constantly share their keys to success on the Internet. However, many players tease these secrets useless in the forum and cannot grasp the favorite prizes. In view of the true availability of grabbing skills, a series of investigations and certifications are launched. The main purpose is to help players distinguish whether these grabbing skills are practical or not. First, we tested the hottest grabbing skills in YouTube. According to the method of commentary on the video, shot the joystick to make the claws swing in the show cabinet continuously. Once aiming at the prizes, press the button of the claw machine to grasp the prizes. When formal testing, select a common player and a top player to test 10 machines respectively. The final result shows that the common player grabbed 30 times and did not grab the prize. Top player grabbed 4 prizes for 30 times. Two players summarized their testing results. The top player said:” I did not catch one prize in the previous tests. Later I began to carefully observe the position of the prizes and the strength of the claws, and choose the position of the prize near the door of the prize out to use the method of swinging claws, but it does not work very well. The prizes can be thrown out of the door under the specific conditions, but it is not easy to catch the prize under normal conditions. Based on the understanding from two players, we are not optimistic about the grabbing skills. It is suggested that players do not try to use this method. This method is the grabbing skill we read in a forum. 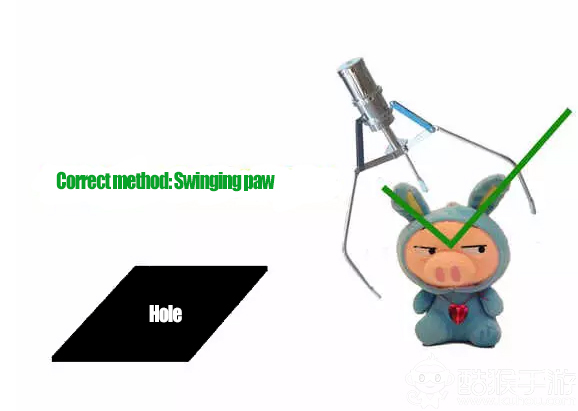 Players can click on the button of dropping claws quickly, thus increasing the strength of the claws, so that they can grab the prizes more easily. At the beginning of the test, two players still do the test separately. But the results are useless. In term of the introduction from the staff of the game hall, the probability of prizes out from the claw machine is adjusted. Clicking on the button crazily from the players in just only a psychological hint and it is useless. This method still comes from a post of the search engine. Players adjust the claws to the top of the favorite prize and wait for the time button, and the claw will free fall down and grab the prizes. At this time, the claws are more powerful and easily grab the prizes. We have not tested the above method, but have been mocked by the staffs on site. The nature of this method is the same as that of the quick click method. It is totally a psychological comfort and it is useless. This method is a rough one. When we are out of the staffs’ sight and start to do the test. First of all, do not insert the coins or operate the claws. As long as you are tall and strong enough, shake the claw machine. And the prizes can be thrown out of the door. It is found that this method is more practical, but advised that the players do not try it, or they may be expelled by the staffs. This is a method invented by top player Neo. As everyone knows, the claw machine game can be adjusted to the probability of prizes out. When the number of coins inserting reaches a certain probability, the claw strength can increase, and the players can grab the prizes at one time. So Neo’s method is to observe the situation of the machines and analyze the probability of prizes out of these machines. After other players inserting a certain number of coins, and then grab the prizes. Therefore, the success rate will be greatly improved. Usually, spend three dollars to grab the prizes successfully. Two players still do the test. The final result shows that the common player grabbed 8 prizes for 30 times, while the top player grabbed 22 prizes. This overall test took us an afternoon. However, it is seen that the probability of success is much higher than other methods of operation skills. The only disadvantage is that it is a waste of time and requires the players have enough patience. The above is the test for some common operation skills. If there are new test results later, let everyone know as soon as possible.